Willkommen in einer Riverhouse ON Yellowstone! Dieses schöne Haus liegt auf 15 abgeschiedenen Hektar auf dem Yellowstone River im Herzen des berühmten und atemberaubenden Paradise Valley. Ob Sie ein Familientreffen planen, kleine intime Versammlung, romantische Flucht oder nur eine friedliche Flucht aus der Hektik des Lebens, dieses voll ausgestattete Ferienhaus und Anwesen verfügt über alles, was für einen unglaublichen Montana Urlaub notwendig ist. Das Riverhouse verfügt über 4 separate Schlafzimmer, alle mit neuen Matratzen und erstklassiger Bettwäsche - 2 im Erdgeschoss und 2 im Obergeschoss. BDRM # 1 (Erdgeschoss) - Doppelbett mit Nachttischen und Leselampen; geschirmt Glas-Schiebe-Türen, die auf einem Felsen Terrasse mit vollem Blick auf den Fluss führen. BDRM # 2 (Erdgeschoss) - Doppelbett mit Nachttischen und Leselampen; geschirmt Glas-Schiebe-Türen, die auf einem Felsen Terrasse mit vollem Blick auf den Fluss führen. BDRM # 3 (oben) - 1 Queen und 2 Einzelbetten; geschirmt Glas-Schiebe-Türen, die auf einem malerischen Balkon und Bergblick. BDRM # 4 (oben) - 2 Badezimmer und 1 Einzelzimmer; geschirmt Glas-Schiebe-Türen, die auf einen großen Balkon Blick auf den Fluss. Unsere geräumige Küche ist mit Edelstahl-Side-by-Side-Kühlschrank, Edelstahl Geschirrspüler, Herd, Herd, Mikrowelle, Toaster und Kaffeemaschine ausgestattet - alles abgerundet mit funkelnden Granit. * Entspannende im Obergeschoss Sitzecke mit zusätzlichen ausziehbaren Betten. Privat und ruhig gelegen, unsere Außenanlagen rühmen schöne Gärten, großen Rasenflächen mit viel Platz für Spiele und Kinder, Picknick-Tisch, Terrasse mit Essbereich und Grill ... alles nur einen Steinwurf von der angrenzenden Yellowstone River ... gerade aus Schritt die Tür und werfen eine Linie in! Von besonderem Interesse für unsere vielen Gast Fischer und der Jäger ist der "Hideout", ein separates Gebäude speziell für Fliegenbinden, Lagerung Getriebe oder Gehäuse Jagdhunde in den Vor-Ort-Hundehütten (auf Anfrage erhältlich). Wenn Sie ein Haus voll und jemand will, um "grobe es ein wenig, das Versteck bietet sogar einen Schlafboden und Kamin. Während hier zu besuchen in der Nähe von Yellowstone Nationalpark, genießen in Chico Hot Springs finden Livingston viele Kunstgalerien, genießen Sie feines Essen in einem Restaurant, Fisch einer der Gegend viele Flüsse oder eine geführte Rafting-Tour, wandern eine bewaldete Bergpfad oder ergreifen Sie ein Pferd und Führer für einen authentischen Ausritt ... die Möglichkeiten sind endlos! Kommen Sie zu uns für diesen unvergesslichen Urlaub! Ausgezeichnete Lage, im Idealfall mit einfachem Zugang zum Yellowstone Park, Mehrere Wanderwege, gute Angelführer, Reitstrecke, Rafting, in der Nähe von Skigebieten in der Nähe von großen von Restaurants und vieles mehr. This house felt like home. The scenery and views were stunning. We had a fabulous time with our group of 11. The home was fully stocked with everything you might need. It was a great location, an easy drive to Yellowstone and not to far from town in order to get groceries. There was plenty of room in the house for everyone. The outdoor space was fantastic. We enjoyed star gazing by the camp fire while listening to the river right next to us. The kids had a blast running around playing in the yard and river. Fred and Anita made our vacation so memorable with their hospitality and friendliness. We can not wait to return and enjoy this true piece of paradise with our kids again, making lasting memories!! House full of fishermen, loved being in paradise valley. Close enough to Livingston to shop and eat. Ladies floated tubes down to Pine creek everyday. 4 bedrooms 2 baths good for 8 - 10 people. Order out, kitchen not stocked for gourmet cooks :) which worked for us. Don't miss the fire pit, enjoyed smores and conversation around the fire. Our group was relaxing after our daughter's wedding in Bozeman. Great time to spend with family. Sitting out front on the patio furniture, viewing the yellowstone was the best. Owner Fred was present in his home on the property with his 2 bird dogs. Enjoyable conversations. Would recommend this vacation home. We had an awesome stay at the River House. Plenty of room for 2 families of 5 with young children (ages 2-12). Well stocked with towels, utensils, supplies and a large movie collection. beautiful views of the river, sunsets and mountains. Great lawn for yard games. Super convenient for fishing and boating. our kids loved swimming in the river from right in front of the house down to the Loch Levin fishing beach. we hope to come back! We stayed in this house three years ago, and liked it so much we had to come back, even though we have never repeated a vacation spot! There is not much to add to my previous lengthy review. The location can’t be beat, right on the Yellowstone River. Sunrises and sunsets are usually fabulous. We spent most of our time outside, at the picnic tables by the water. Sometimes I just watched the fishing boats, kayaks, stand up paddle boards and more, going by on the flowing river. It is far enough from Livingston to feel like you’re in the middle of nowhere, but close enough to get groceries or go out to a restaurant or gift shop. The location is good for groups that like to fish, and also for those that don’t fish. 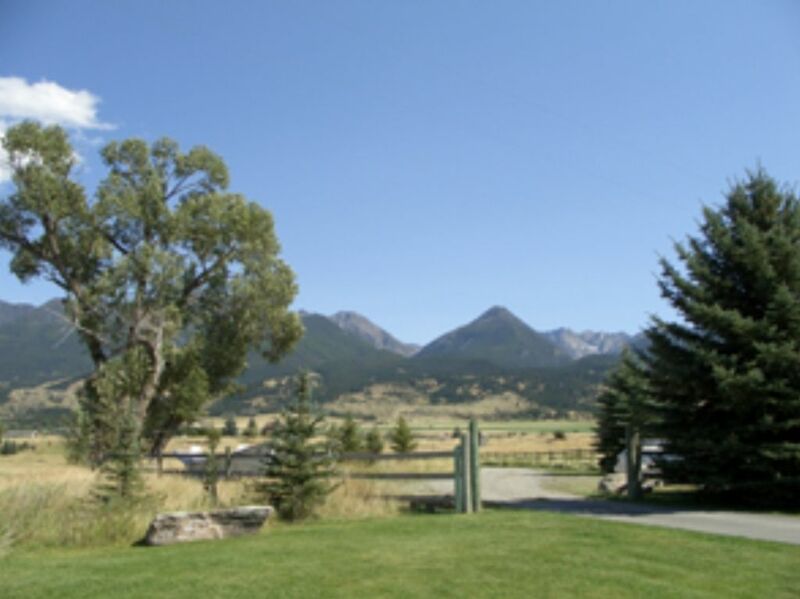 It is also close to Bozeman, Yellowstone National Park, Chico Hot Springs, and hiking trails, etc. The house is clean, has everything you need to cook in the kitchen, lots of towels, comfortable beds.. The new washer and dryer on the second floor is really nice, and much appreciated. Ok, yes, the dogs did add a lot of fun to our stay ! I thank Fred and Anita for sharing this wonderful place. Wonderful Christmas on the Yellowstone! We had a fantastic time at the river house. It's a cozy, homey spot with a lot of character, and it's a beautiful setting in the winter. The kitchen was well stocked for plenty of cooking as well. My only complaint would be the large deposit required for our stay. That being said, I would definitely recommend the river house! Rates: One to four people is $350.00 per night. $2250.00 per week. Each addition person 12 years and older is $100 per person , per stay, or per week stay. Plus and taxes and fees.